Out of all of the 76 Peace Corps countries I could have been sent to, I was invited to the only one with an international City Year site. What are the odds? You do the math — slim to none. 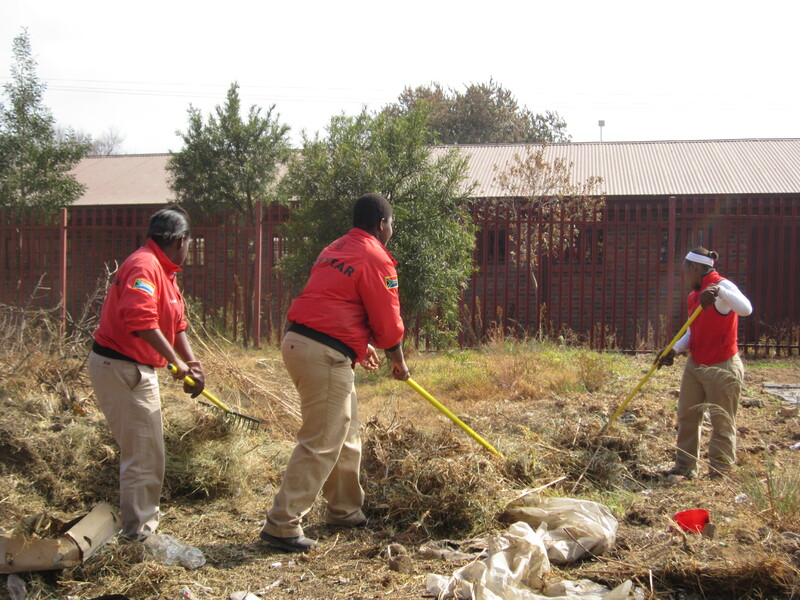 City Year is based mostly in major American cities and in two international locations – Johannesburg and London. I came to South Africa a quick month after completing my City Year in Los Angeles. My corps year with CYLA means a lot to me, so of course I had to pay City Year South Africa a visit. Nelson Mandela Day – on July 18th – is a national service day in South Africa; I couldn’t think of a better way to serve than with City Year! City Year South Africa gave me the opportunity to spend two days with a team – one regular service day and Nelson Mandela Day. 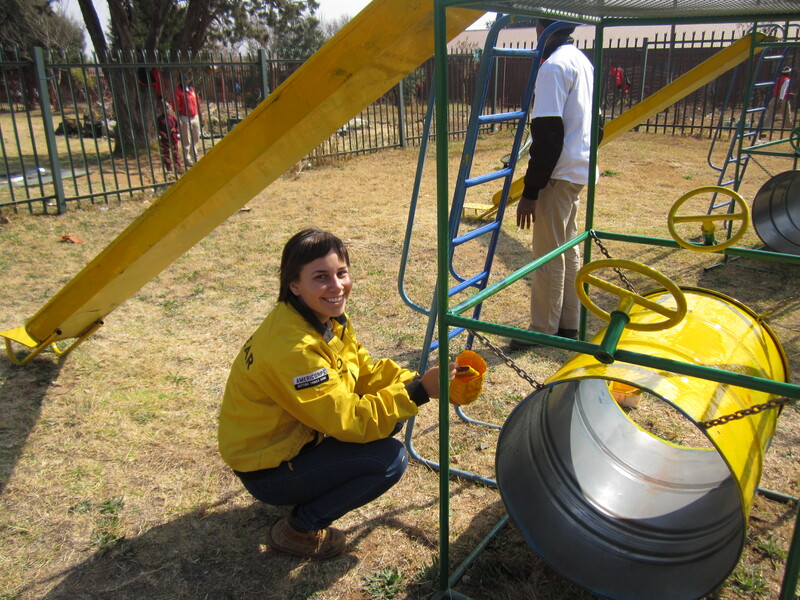 City Year South Africa serves in townships around Johannesburg. Huw, the external relations manager, set me up with the Bapedi Primary School team in Soweto. Of course the experience was phenomenal. 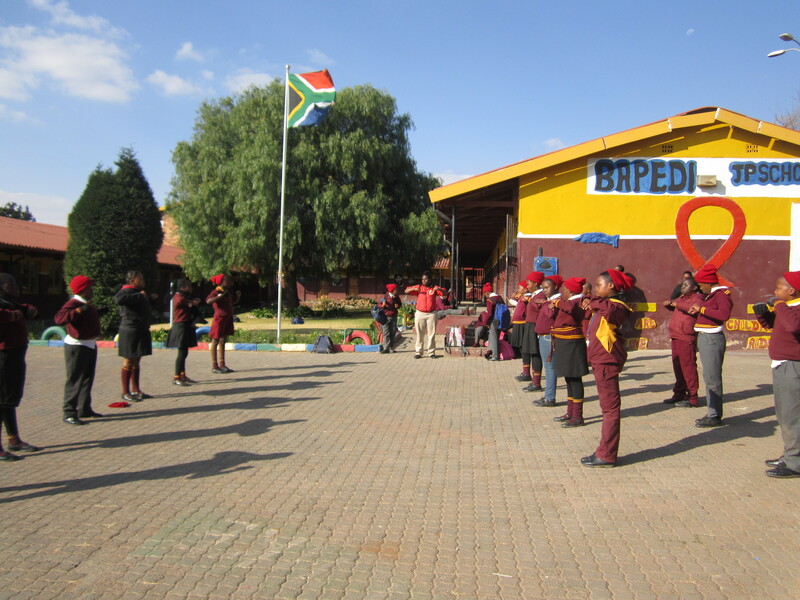 I was welcomed onto the Bapedi Primary School team as part of their family. The team had that same type of familial spirit and love my Markham team had. Although it made me nostalgic, I also realized I now have two City Year teams! Bapedi Primary School team 2013! I spent Wednesday and Thursday at Bapedi. Wednesday was a regular service day – team meetings, prepping for Nelson Mandela Day, after-school program and final circle. On Nelson Mandela Day, we cleared an area to make a recycling center for Bapedi, helped plant seeds in a garden the Bapedi team started in April and painted a playground set. On Friday, I watched physical training (PT) in downtown Johannesburg, showed pictures from my service year and did an informal Q and A with the whole corps. What’s so incredible about this experience is that I clearly see how everything’s somehow connected from these past two years of service. 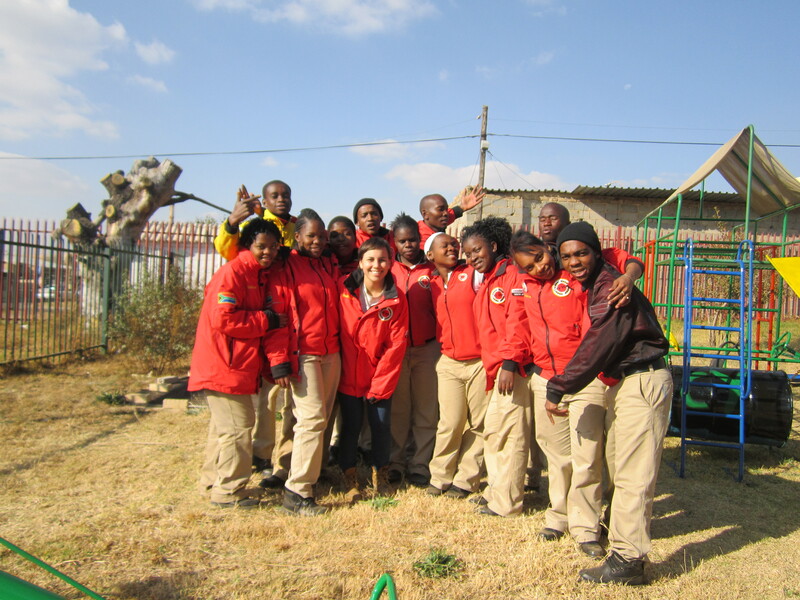 I met people at City Year South Africa who know people at CYLA. Huw – City Year staff – knows the area I serve in South Africa quite well because his dad used to live and work as a doctor there. I stood in on team circles expressed completely in Zulu and understood a good gist of it. Everyone called me Mpho instead of Liz. 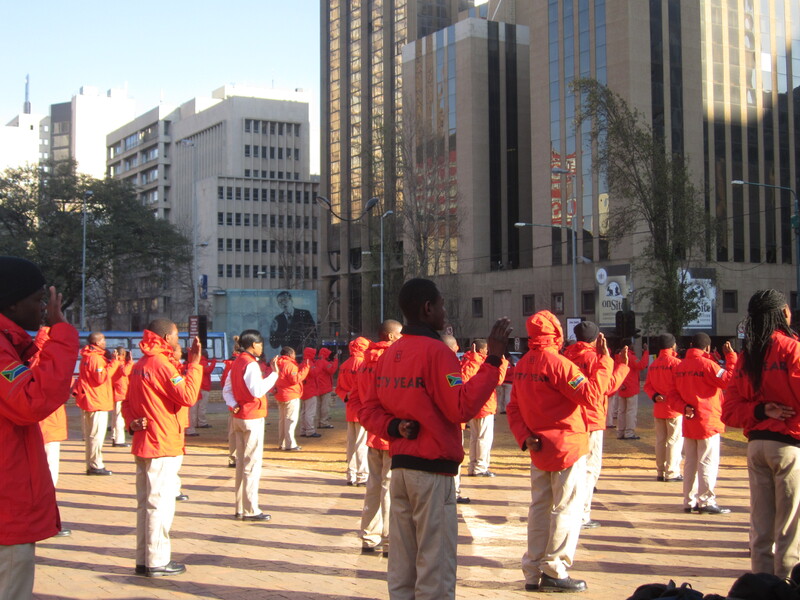 I saw City Year culture fuse with African culture – team chants and readiness checks done in Zulu. I introduced myself in Zulu and got the silent applause. And best yet – how ya feelin’? SIYASHISHA FIRED UP! (We are fired up in Zulu). I saw South African learners perform PT. I never imagined that I’d get to experience City Year culture in my Peace Corps host community’s language. It’s a small, small, small world. I now feel a lot more connected to South Africa because of everyone I had the privilege to meet this week. I saw Soweto through the eyes of a local — Lindiwe, the Bapedi program manager, gave me a tour, took me to her house and I met her family. I met people on the Bapedi team who talked about how much they love community service and are very involved in Soweto. One has already written a plan to start a non-profit that will give ex-convicts job training. It’s an unworldly feeling to know South Africans are doing the same work I’m doing and have that same idealistic hope for our world’s future. I’ve always known I’m part of a powerful movement, but now I know just how powerful. We all – South African or American – live for a strong purpose. Spirit, discipline, purpose and pride that is! 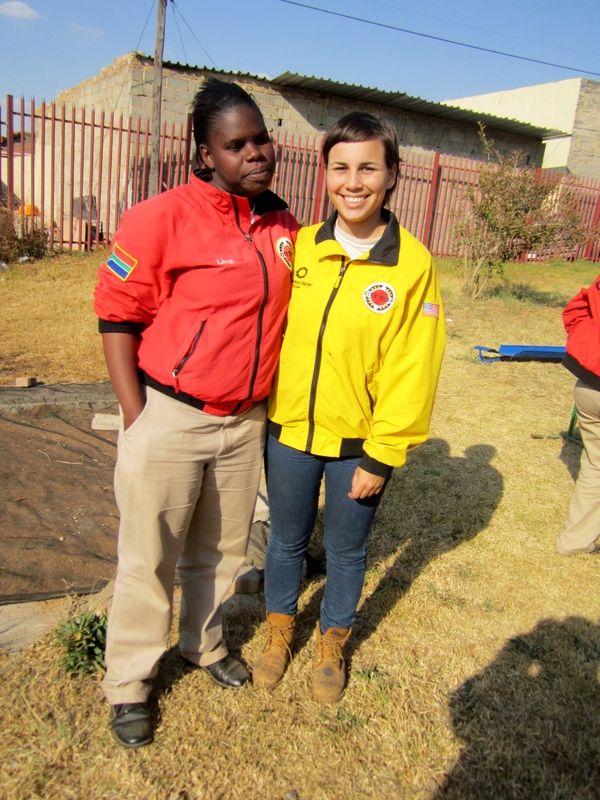 I traded my yellow CYLA bomber with Lindiwe and now have a red City Year South Africa bomber — a right of passage in my Peace Corps service country. Lindiwe said she’ll frame the CYLA bomber. I’ll definitely hang mine from my rafters in my hut. Huge thank you to Lindiwe and Huw for making this trip possible!